Harley Quinn costumes and accessories for women and girls from Sydney, Australia! Doctor Harleen Quinzel never knew what was in store when she joined the psychiatric team at Arkham Asylum, but how could anyone predict falling madly in love with the Clown Prince of Crime? After helping the Joker escape, she turned herself into the bubbly yet psychotic Harley Quinn! Whether you feel like persuing your dream man, picture yourself side by side with Poison Ivy, or fighting Batman, we have the Harley Quinn costume for you! 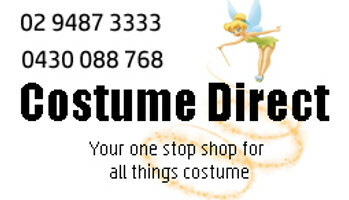 Whether its a classic Harley Quinn costume, or a Suicide Squad Harley Quinn costume you need, you'll find it at Costume Direct!